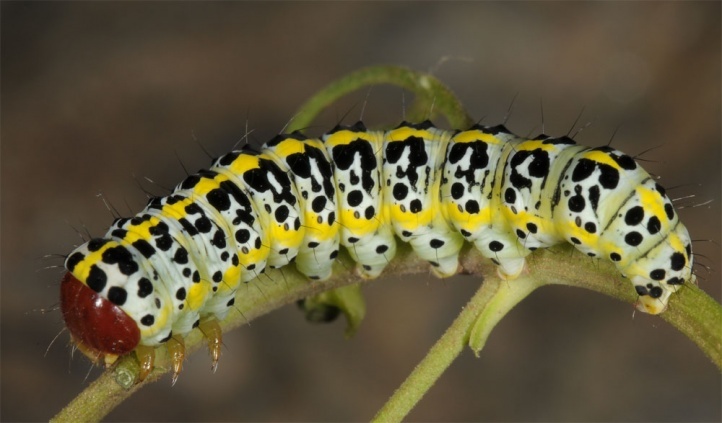 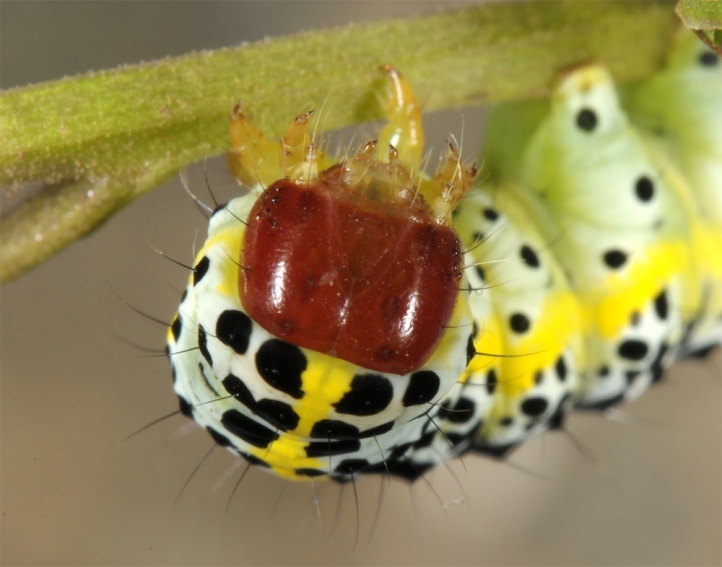 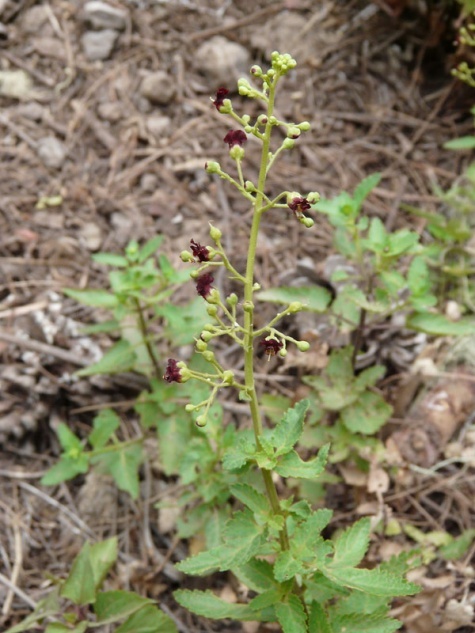 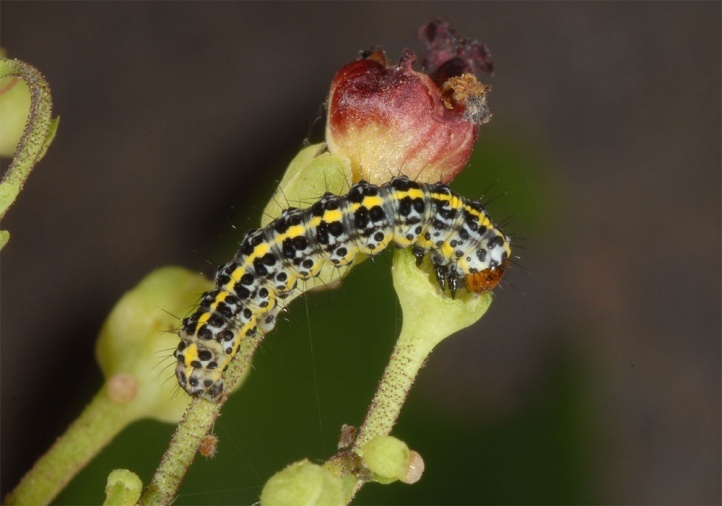 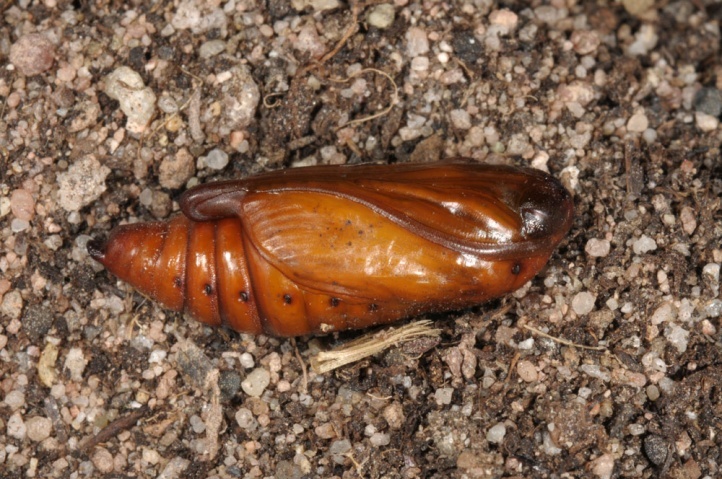 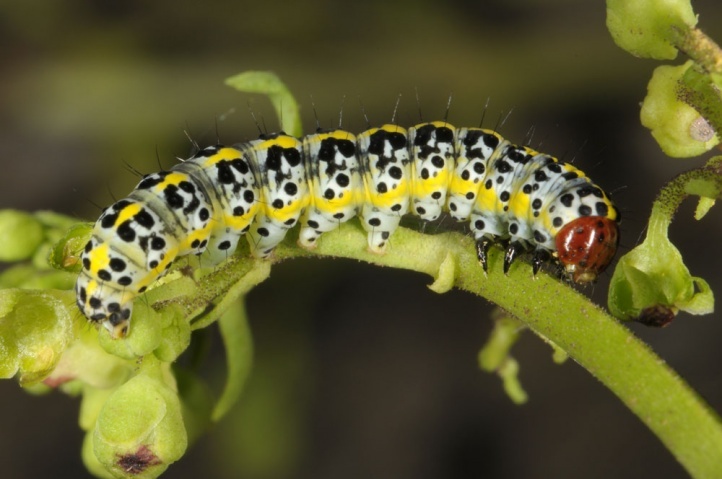 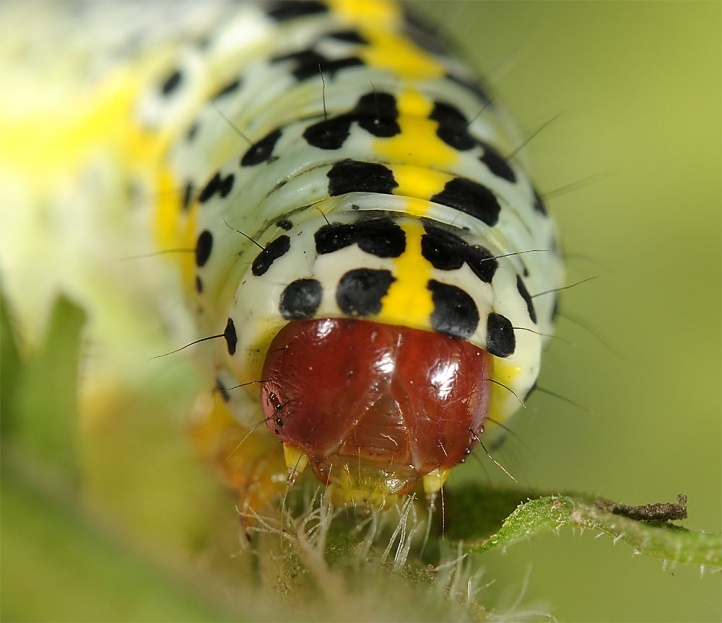 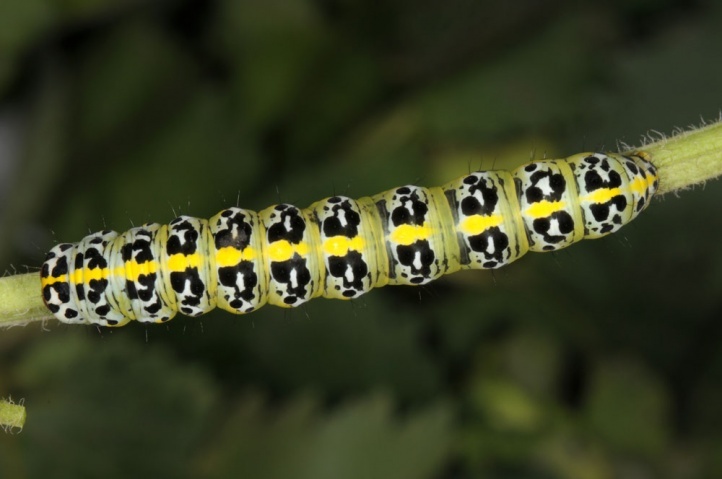 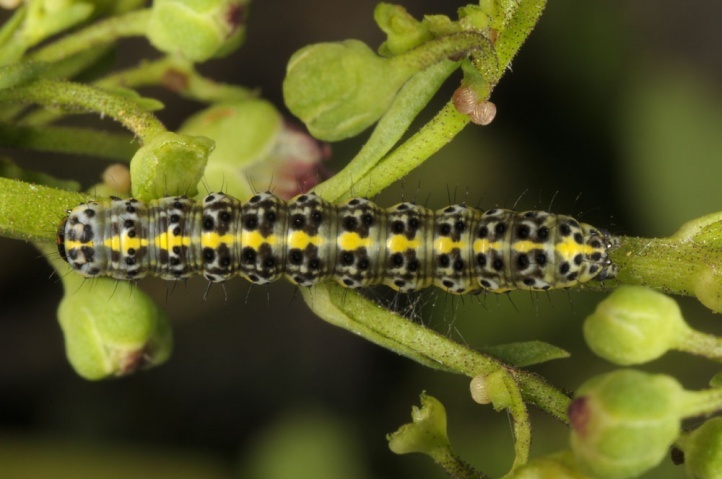 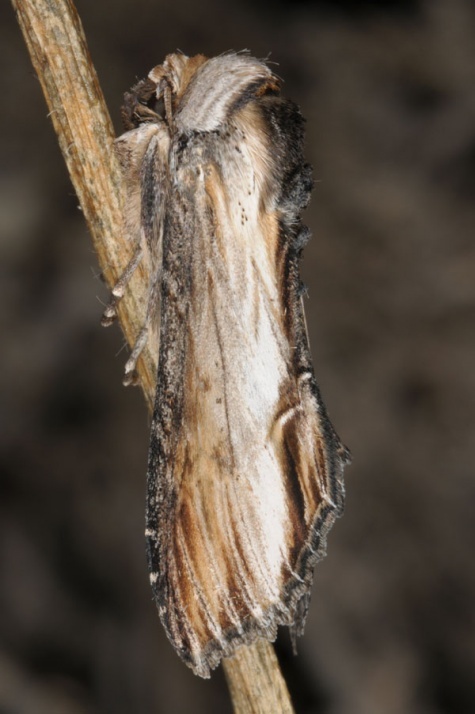 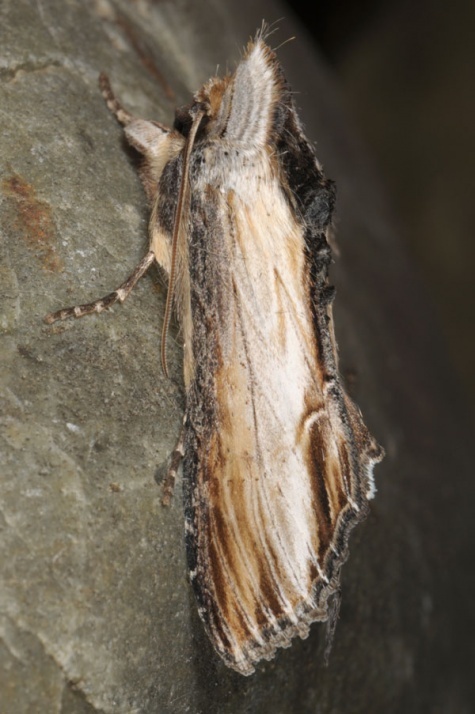 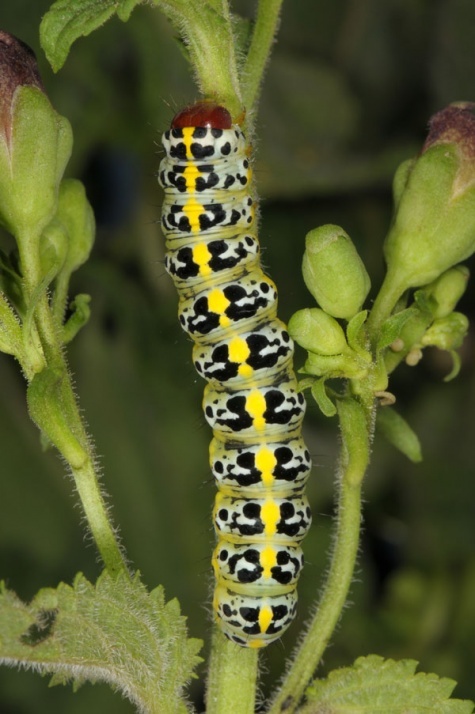 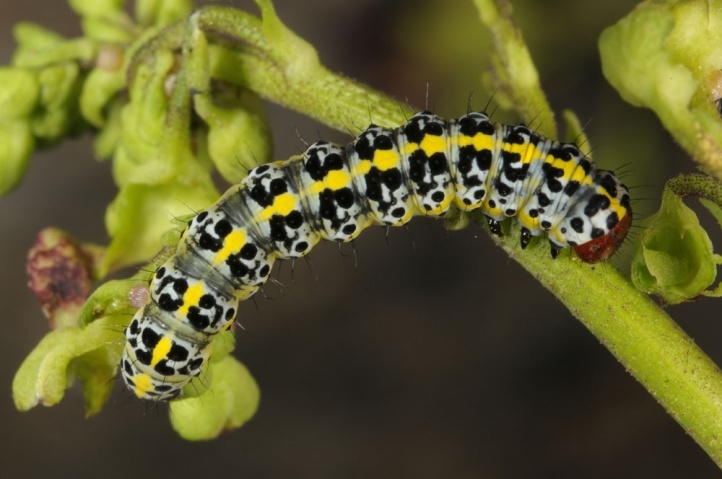 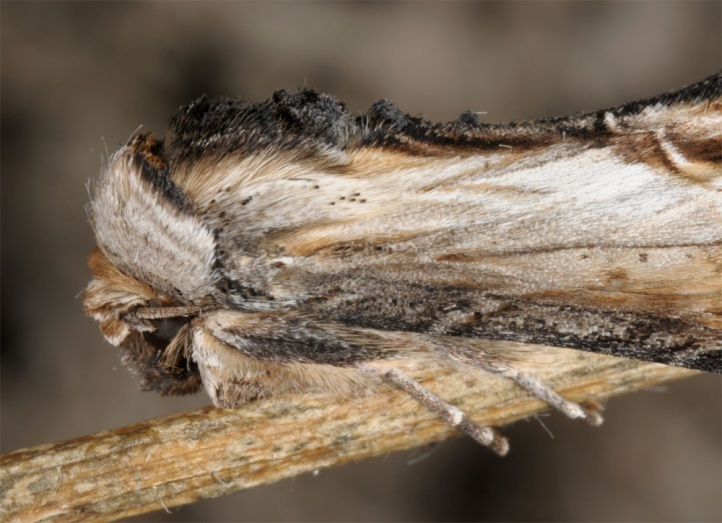 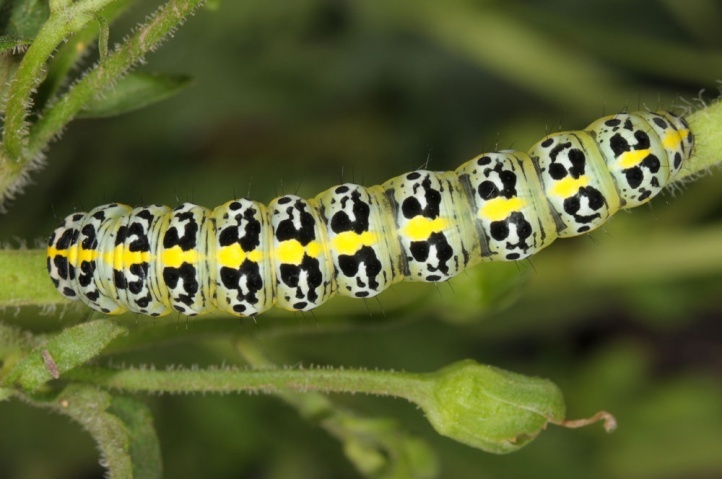 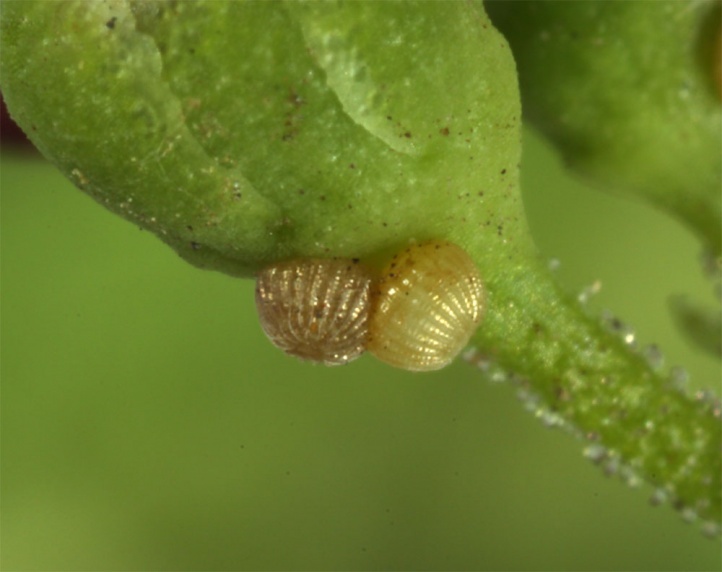 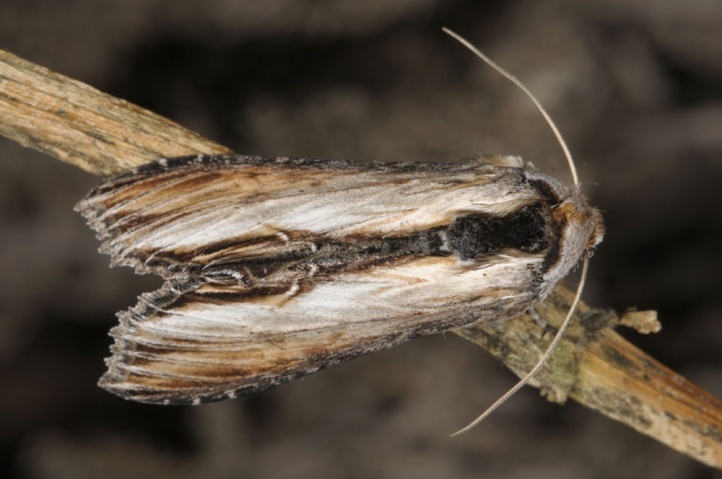 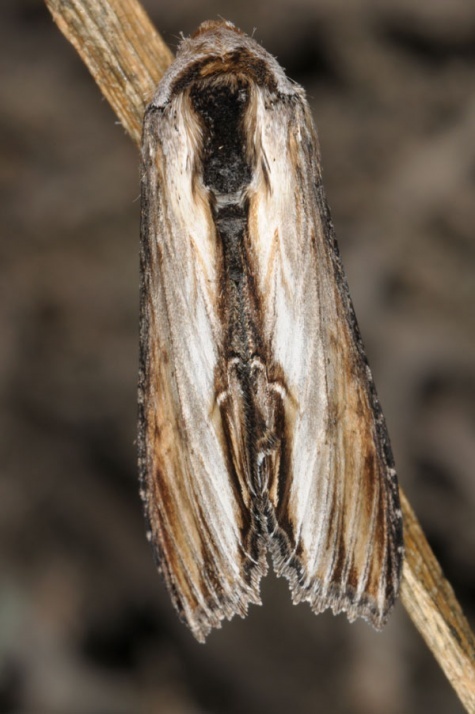 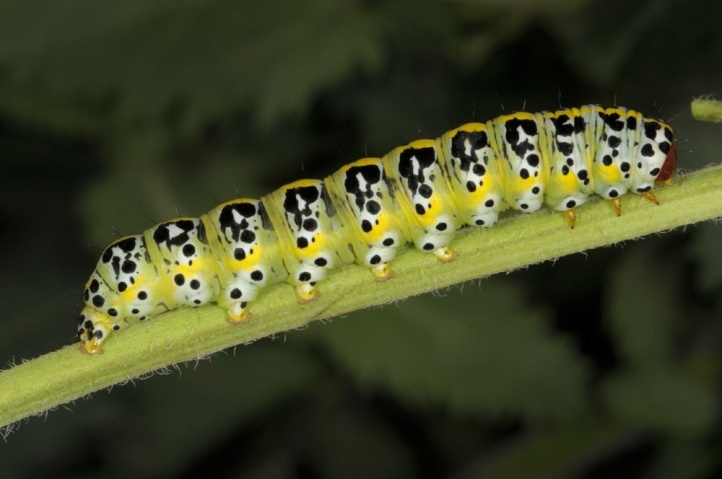 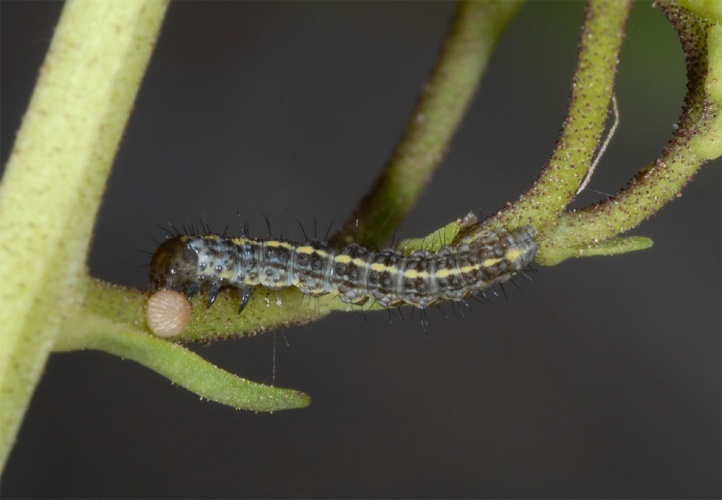 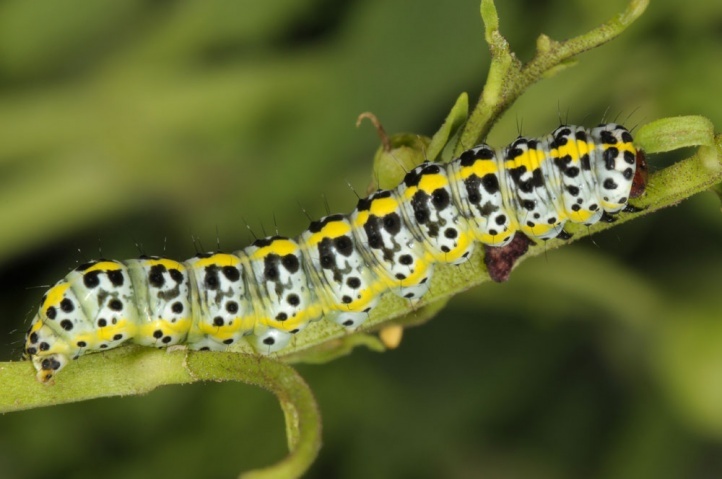 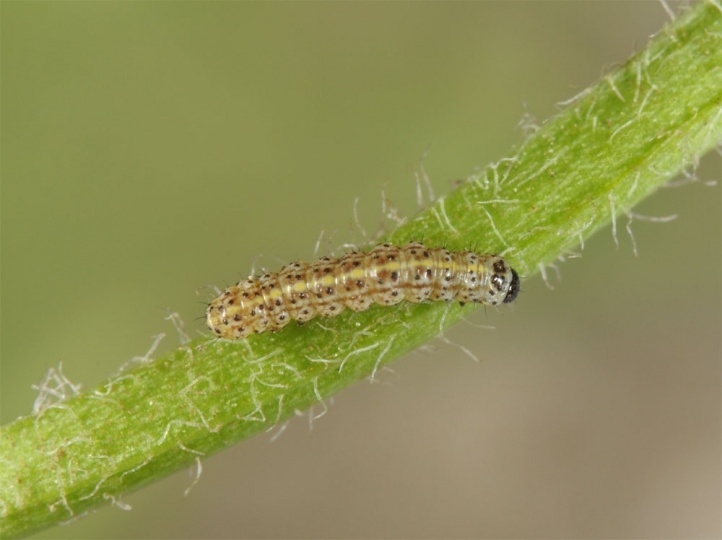 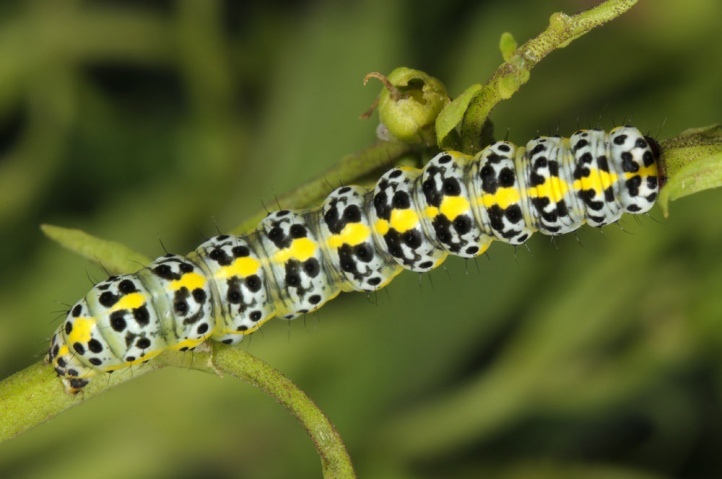 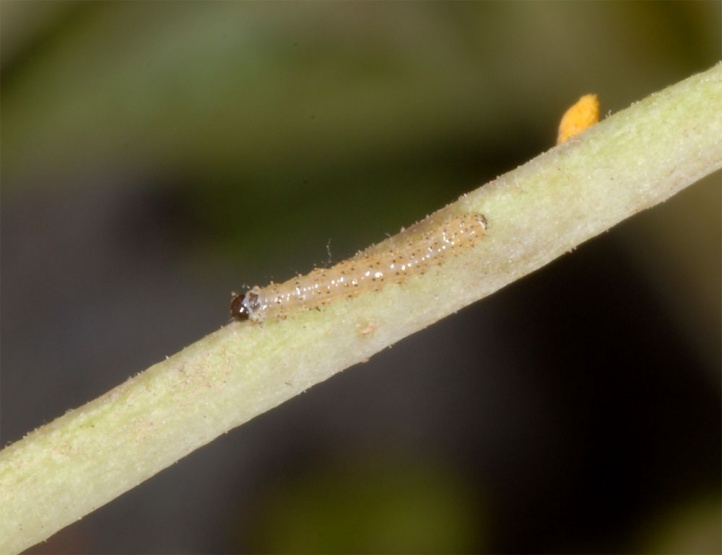 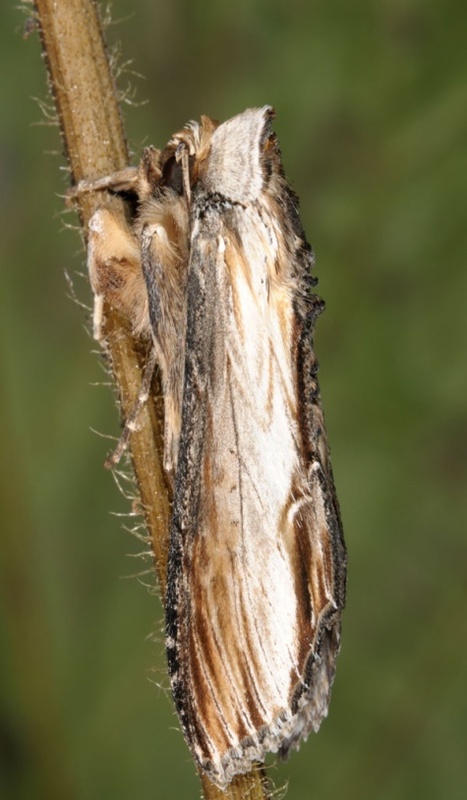 The caterpillars live on different species of Scrophularia (Scrophularia arguta, Scrophularia glabrata, Scrophularia smithii). 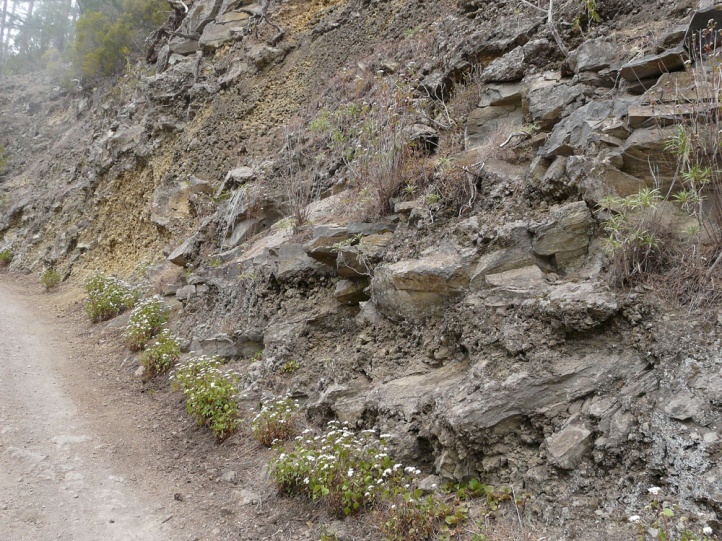 Cucullia canariensis colonizes usually rocky or gravelly places along forest edges, slopes, cliffs and other sunny to partially shaded sites in the Corona forestal, the sparse pine forest belt (Pinus canariensis) around the island in heights between about 800m above sea level to the tree line at about 2300m above sea level (maybe a bit higher). 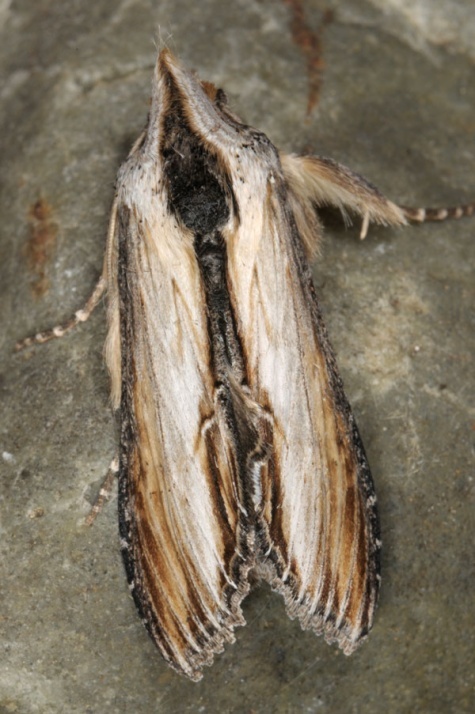 The adults fly in one generation from late February to late April. 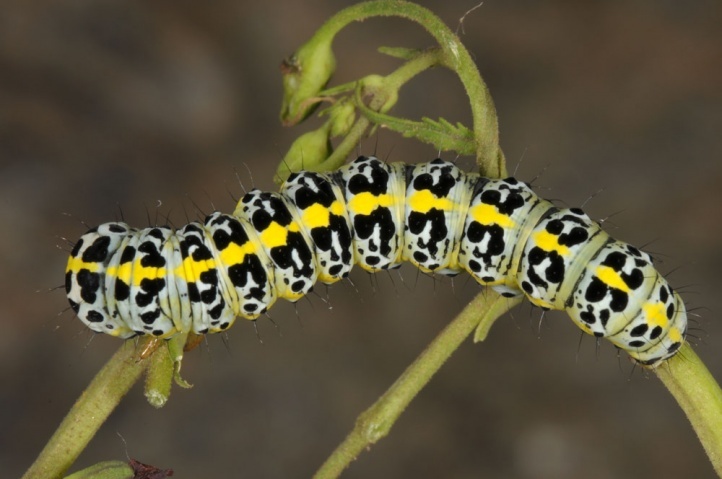 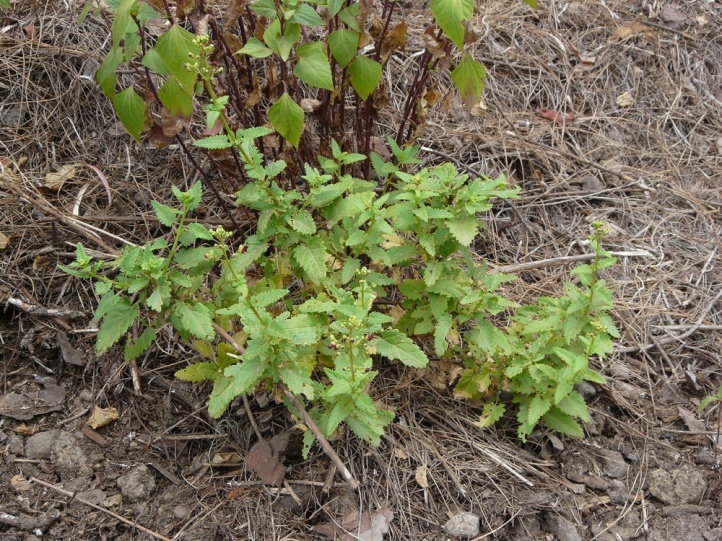 The caterpillars are found from March to May. 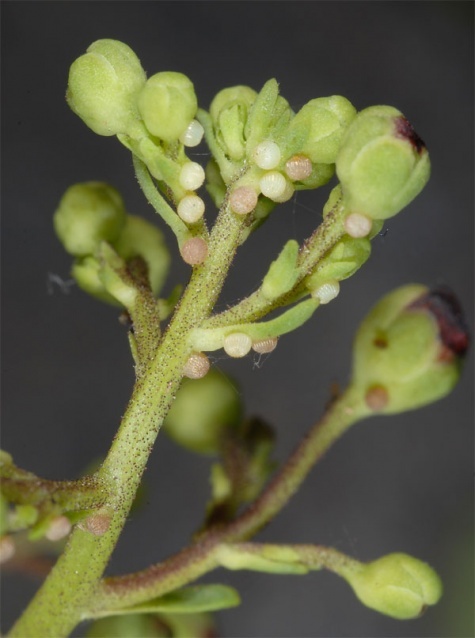 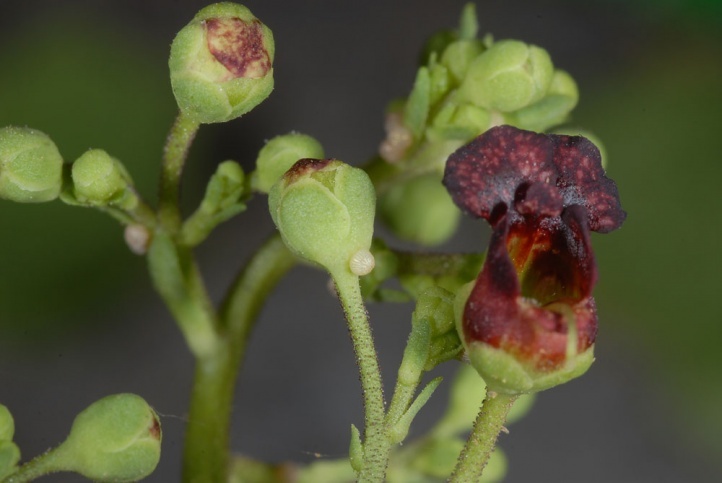 In the end of March 2012 I found hundreds of eggs on budding flowers stands at Aguamansa in about 900m to 1500m. 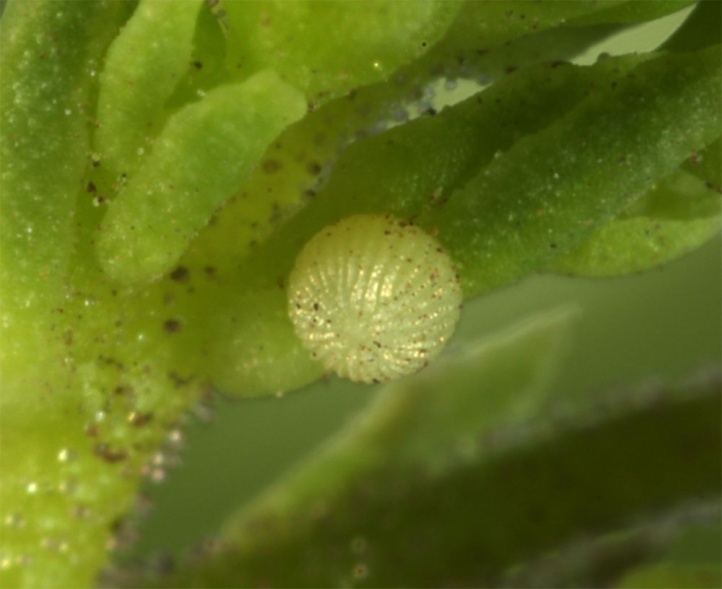 Sometimes I could observe up to 30 eggs on one flourishing shoot! 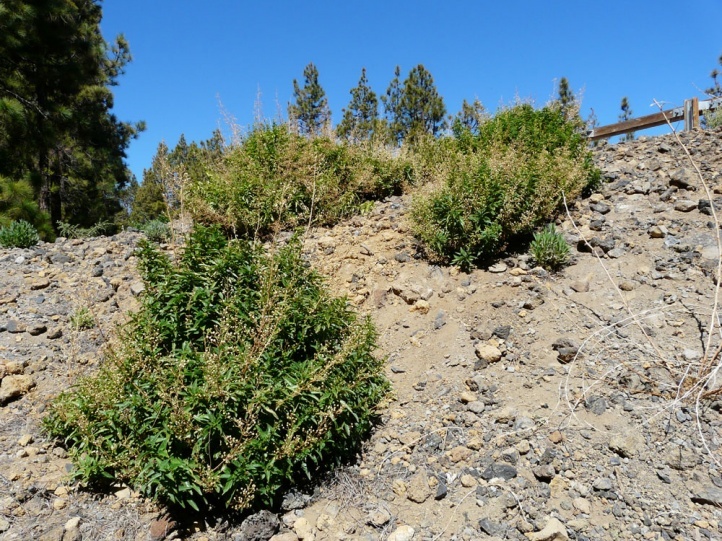 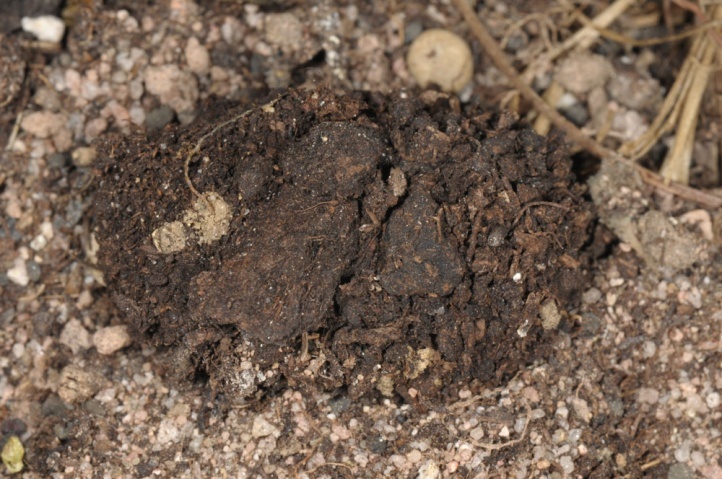 Cucullia canariensis is hardly at risk (only through forest fires), as it escapes by its high altitude and usually protected habitats the immense human pressure that is affecting all coastal areas in Tenerife. 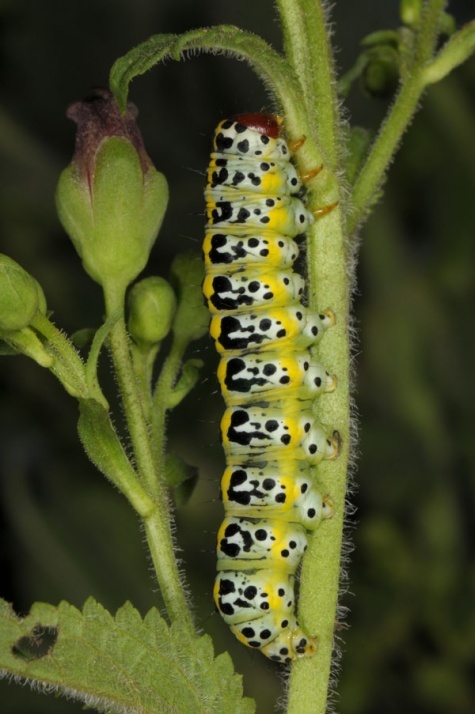 Cucullia canariensis is endemic to Tenerife (Canary Islands, Spain).